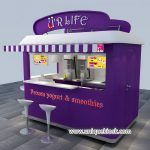 A high-end outdoor desserts kiosk, a luxury outdoor kiosk, a wesern style outdoor kiosk. Hello, dear friends, how are you? I guess you are fine, many people enjoy outdoor activities, blowing the wind, embracing the blue sky, listen to the birds, what a pleasant thing! believe that working in this environment will make you feel better, so are you an outdoor business? 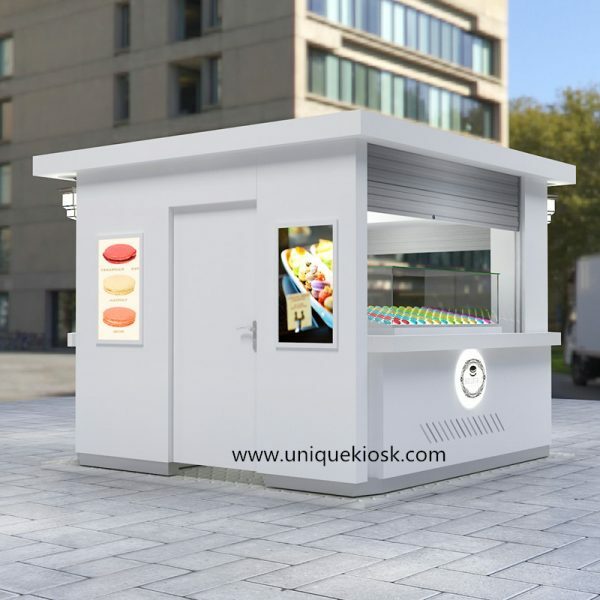 if yes, whether you want a outdoor kiosk to make your business better.our company has all kinds of outdoor kiosks, today, I want to introduce you a fashionable and high-end outdoor kiosk. Now, let us see its images. 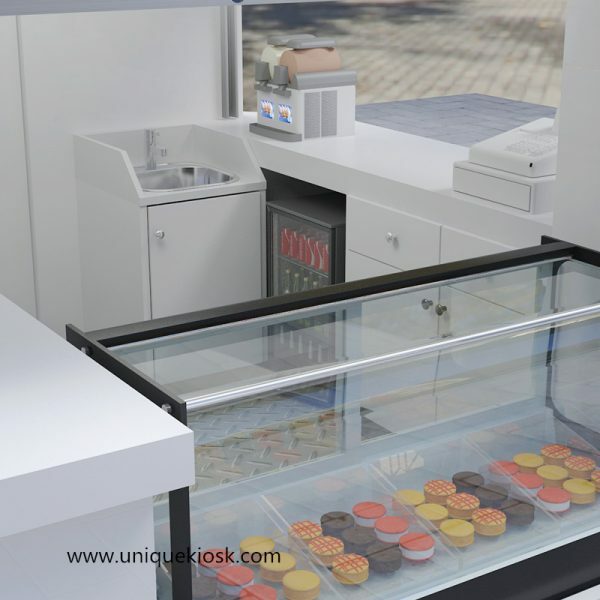 just as we can see, the outdoor kiosk’s design very unique, it looks very clean, there is a showcase in the front of it can be used to sale desserts and macarons, there are many drawers and cabinets in its interior, they can be used to put many things, there is a showcase in its behind, it can de used to sale macaeons, very practical. 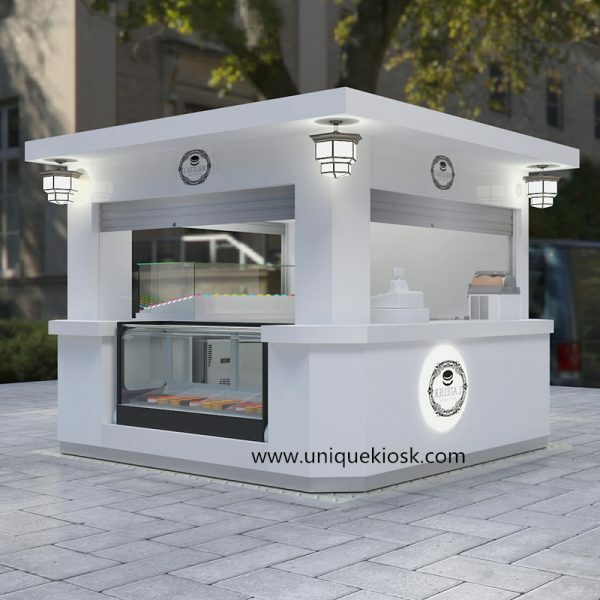 the outdoor kiosk’s color is mainly white, if you dislike the color, we will make it used the color you like. besides, it has exquisite workmanship, perfect layout, glossy interior and surface, durable materials, most of all, we can custom-made it according to your requirment. Some detailed descriptions of our outdoor kiosk. 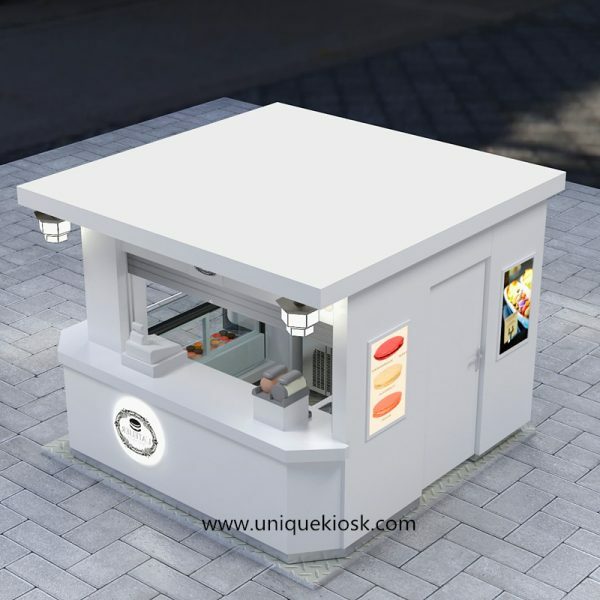 1, The story of our outdoor kiosk. 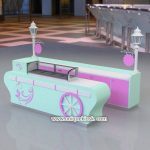 at first, the shape of our outdoor kiosk don’t that, a custom browsed our website, he fell in love with the kiosk at first sight, so he began to contact us, we talked about all the details of the kiosk and finally decided on its present shape, if you dislike the shape, we will custom-made it according to your requirments. 2, The assemble of our outdoor kiosk. 3, The service of our outdoor kiosk. one, if you contact us, we will respond you at first time and give you patient reply. two, if you have questions with our outdoor kiosk, we will try our best to slove them. three, if you want to know your order production details you can ask photos from our people. four, we will give you our hearts, we won’t deceive you, and give you good product. 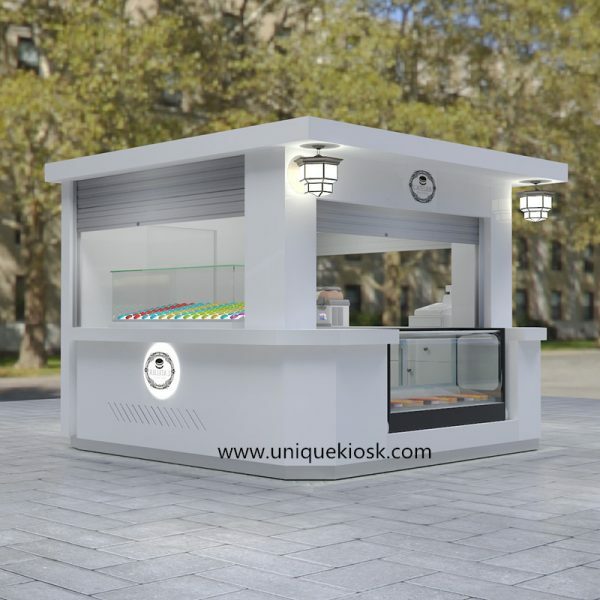 At last, thanks for your reading, if you want to know more information about our outdoor kiosk, please contact us, we all looking forward to your inquiry, at the same time, we hope your business will be better, your life will be well, have a good time.